The International Coach Federation or ICF is the professional governing body of coaching and has provided a regulatory frameworks for coaching and coach training programs. ICF has outlined a range of competencies that they believe all professional coaches should possess. There are eleven different core competencies that fit under four different headings. We’re going to look at one heading today, Facilitating Learning and Results. This week we’re going to cover a great question that came out of one of our classes that has to do with facilitating the learning and the results of working with groups. We’re going to look at International Coach Federation’s core competencies that are geared more towards working with clients one-on-one, but this apply to groups as well as individuals. This is the ability to integrate and accurately evaluate multiple sources of information and to make interpretations that help the client to gain awareness and thereby achieve the agreed upon results. When you’re working with a group, it’s very important that you have a great awareness, not only of one person, but of everyone else in the group. 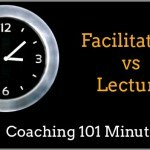 In group coaching in the terms of ICF, is no more than 15 individuals. More likely, you’re going to have smaller groups.. 5, 10, 15. You need to have a great awareness of what’s happening with everyone in the group. This is the ability to create, with the client, opportunities for ongoing learning for taking new actions that will most effectively lead to the agreed upon coaching results. Make sure that you leave each time with every single person having designed an action that they can take in between the next session. Planning and Goal Setting is the ability to develop and maintain an effective coaching plan with the client. First of all, what is it that they want to achieve? It is not important that every person has the same action or plan, but that every person has a specific goal they want to achieve. You keep it at the forefront of every single coaching session or every single group session. It’s important to have every single client in the group share their goal and to keep the group updated as to where they are in the process of achieving that goal. This is ability to hold attention to what is important for the client and to leave the responsibility with the client to take action. 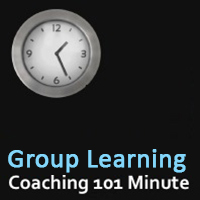 When you’re working with a group, it’s almost as if every single person in that group is a coach, even if they are not trained as a coach. You as the leader, you as the coach want to embody all of these skills so everyone else in the group can also help to keep everyone else accountable. Accountability is key. If everyone is following your lead as the coach, the progress and the accountability of the group will be built in. Every single person will feel accountable for everyone else and everyone will want to report their progress. It is about making that coaching space even stronger by having everyone play the role of the coach and the role of the client. How can I know the right specialty for me to move into? Although I do have a background with a specific area, with my coaching I would like to go on a different direction. Is that possible? Can I change my coaching specialty if I decide that I want to go on a different direction? If you want to learn more about these questions or more about coaching in general, I really encourage you to attend one of our Coaching 101 classes next week. We have time options across the entire calendar so find an option that best fits your needs and your availability.